A. David McKinnon, Ph.D., is a Senior Research Scientist in the Secure Cyber Systems group at the Pacific Northwest National Laboratory. 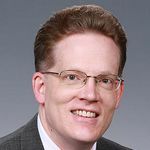 Dr. McKinnon is the principle investigator for the DOE funded “Bio-Inspired Technologies for Enhancing Cyber Security in the Energy Sector” research project that is adapting and extending PNNL’s Digital Ants technology to the power grid. His research interests are in distributed sensor systems and cyber security. He has led efforts to develop network communications for embedded sensor systems and he also leads a team that uses a hardware-in-the-loop simulator to test performance of a distributed, embedded system for the U.S. Department of Homeland Security. Dr. McKinnon has received several Battelle Software Creator awards as well as a R&D 100 award for applied research and a Federal Laboratory Consortium award for excellence in technology transfer. Dr. McKinnon is an adjunct professor at Washington State University where he teaches computer and network security. He is an active volunteer and member of IEEE.